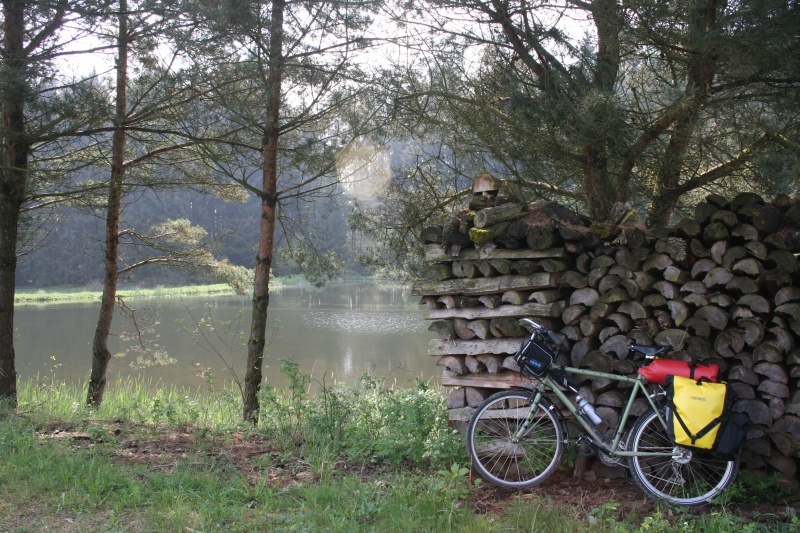 A bit after leaving Dinkelsbuhl my touring bike passed 2000kms. 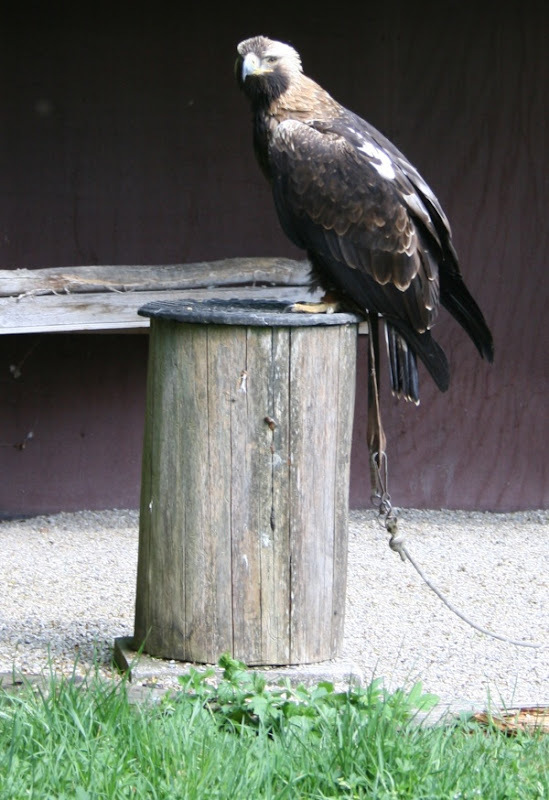 I paused at Schloss Schillingsfurst, which is a baroque castle that does falconry shows. 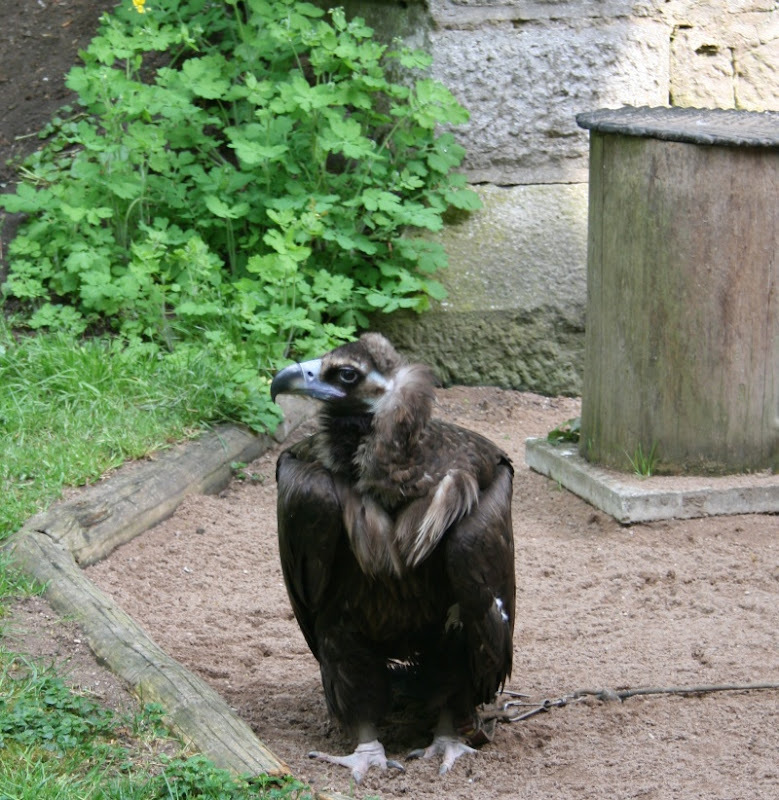 It had various owls, eagles and, I think, vultures. Some of those birds are huge. I did the tour of the castle, but you can only do it in a group and the guide only speaks German. The castle was okay. 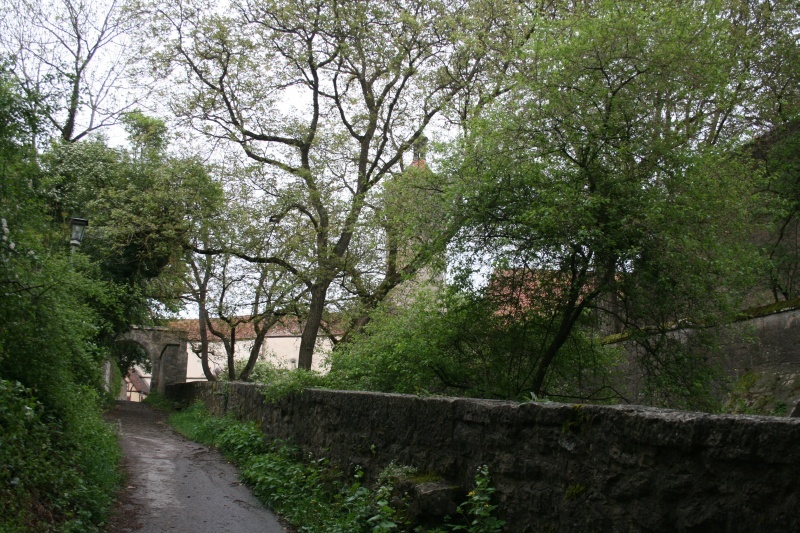 My main recollection is that it was really high up a steep, cobbled road. 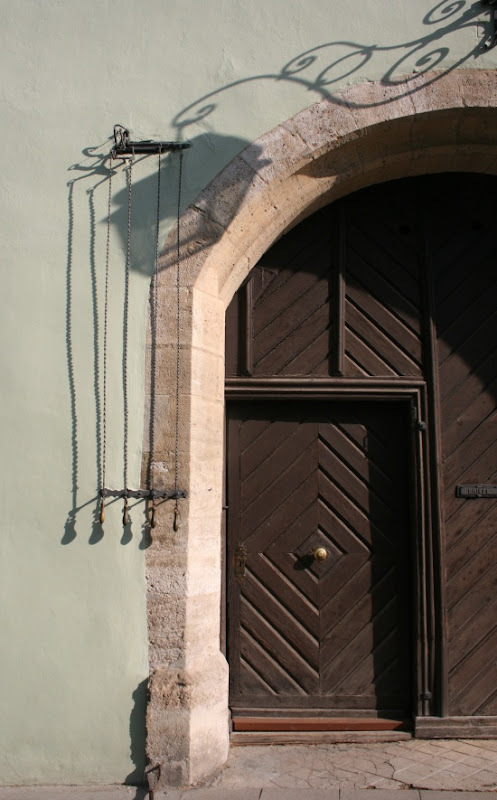 Okay: Rothenburg ob der Tauber. 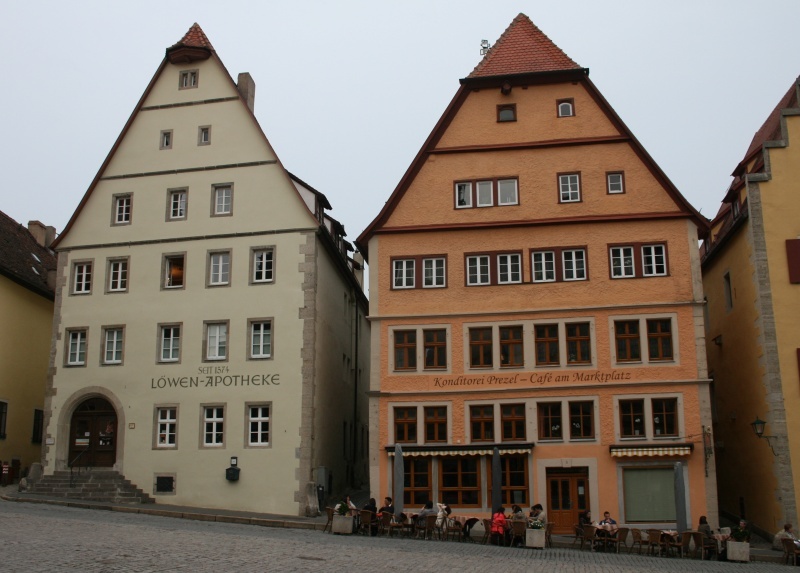 It's probably the most famous of the cute towns on the Romantic Road. It came very close to being completely destroyed in WWII. 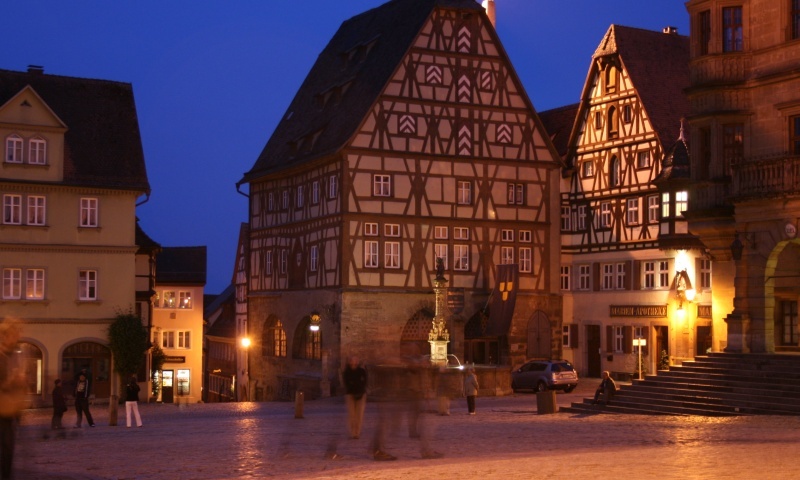 The German soldiers were based in the town and the Americans were approaching. The German leader gave the order to fight to the last man, but he went back to Berlin for a meeting. 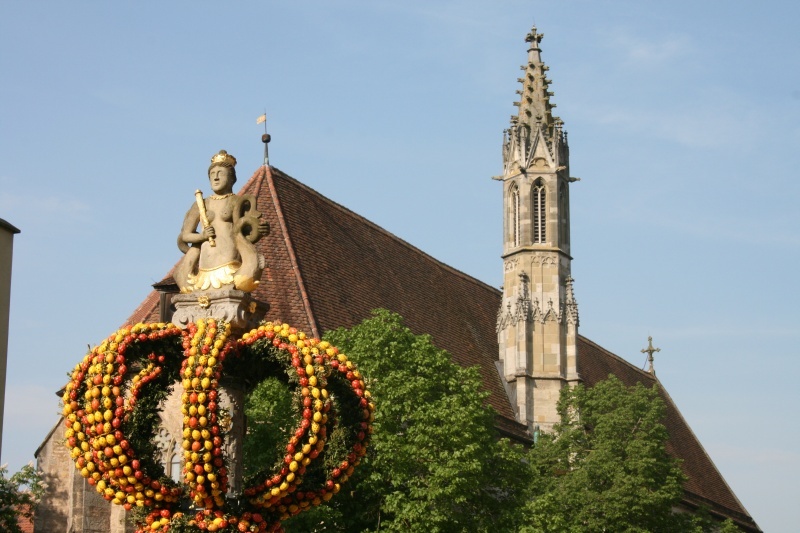 Meanwhile, the Americans gave the order for their planes to level the town, but one of the high ranking Americans heard about this, and he had grown up with a picture of Rothenburg on the wall at home. He cancelled the bombing run and went to negotiate with the temporary Germany commander. Together they negotiated a surrender. The town did take some damage, but they took donations from around the world and it looks pretty good now. 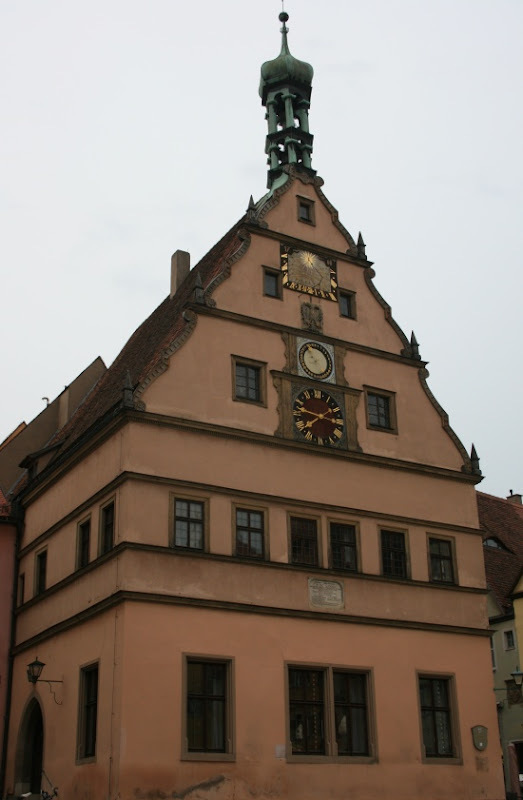 The Rothenburg town hall/councillor's tavern. 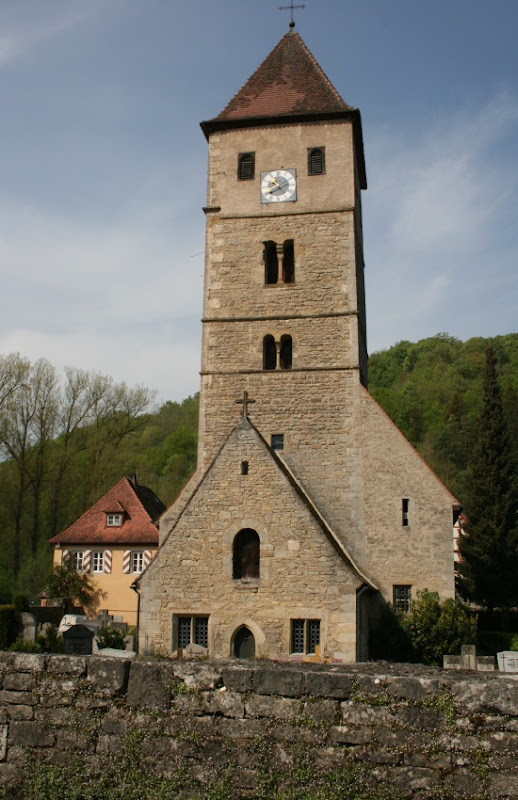 When the Protestant town was taken by the Catholics in the 1600s, they were told that the town would be spared if one of the town elders could drink a 3.5 litre tankard of wine in one go. The former mayor stepped up and polished it off. So that's why we keep Gerry Brownlee around. On the hour, those windows to the sides of the clock open and you can see a model of the councillors drinking. 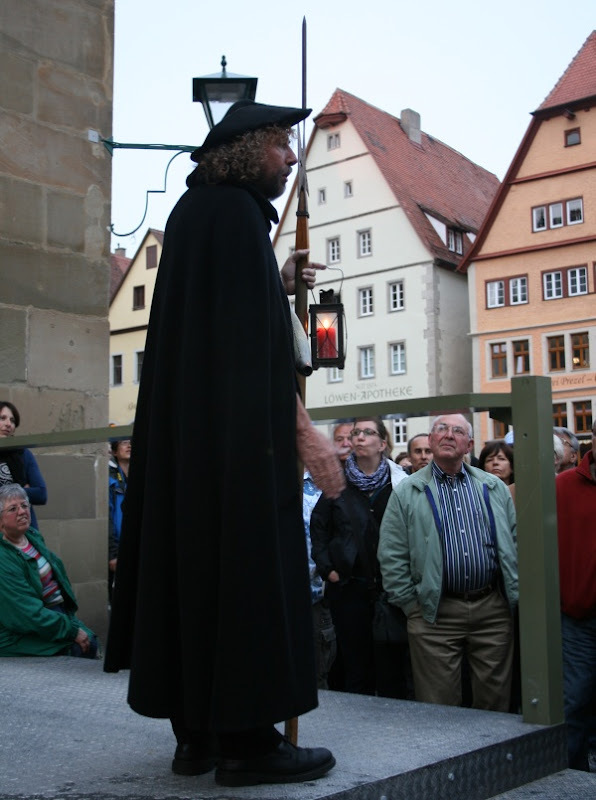 After missing the nightwatch tour in Dinkelsbuhl, I was thrilled to find that there was a similar one in Rothenburg. It was a fun tour. 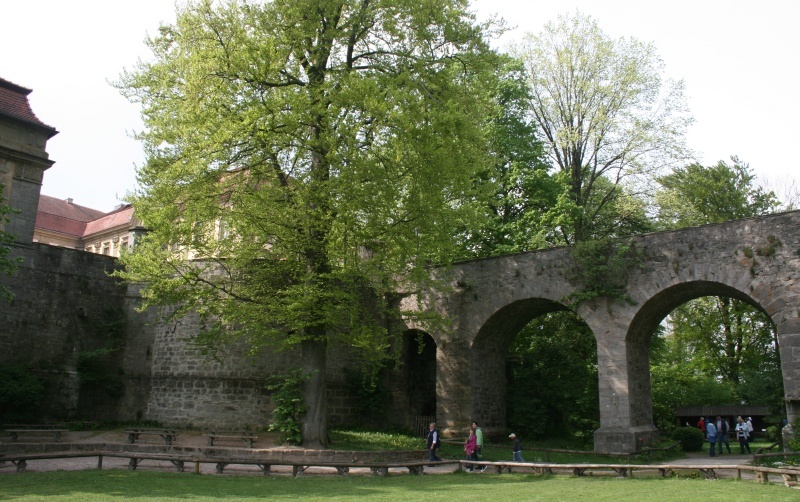 This is one of the town gates. 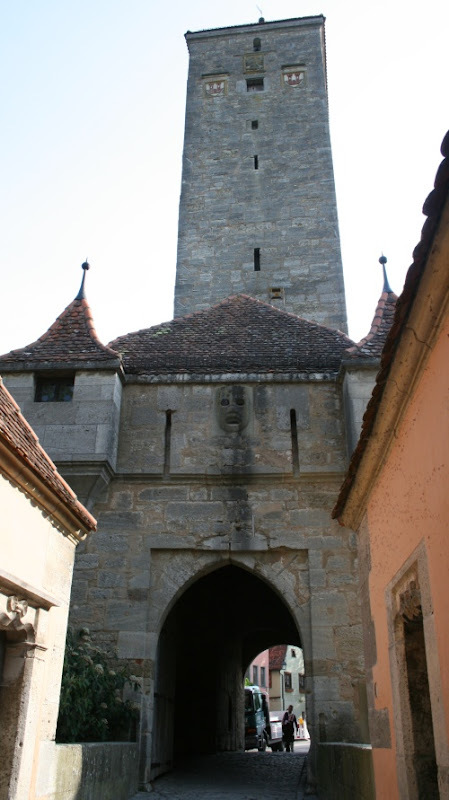 The face above the gate was a vent used to pour boiling oil over invaders. 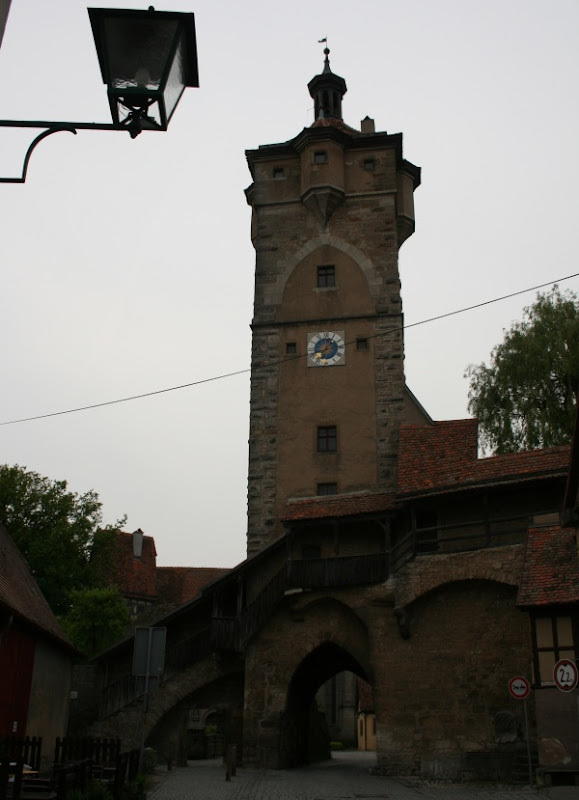 At one time Rothenburg was very rich and the families would have large houses. 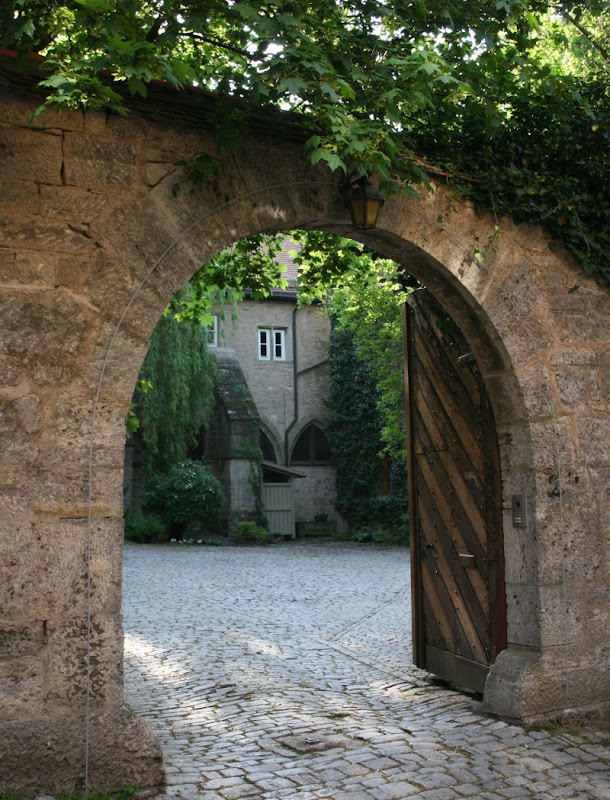 The gates would have a small door, but also a larger gate to allow wagons to enter the courtyard. 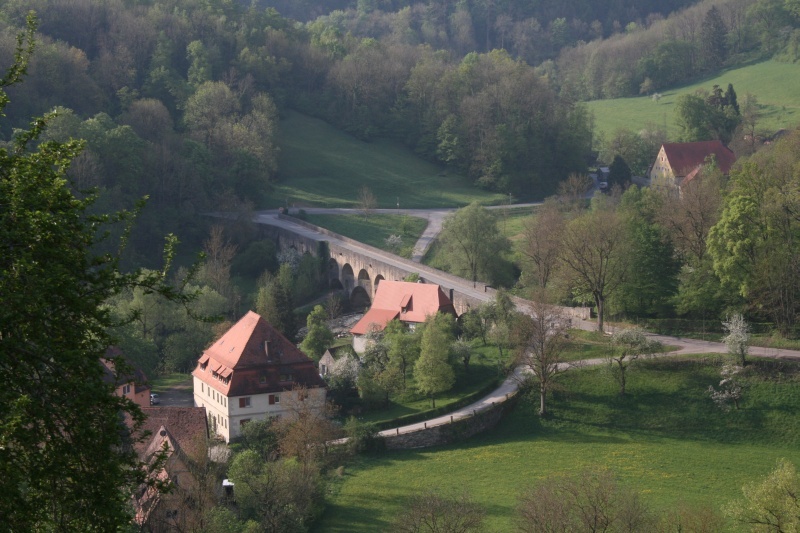 Rothenburg is on a hill, so the camping ground is outside town on the flat in an area called Detwang. The little church in Detwang is pretty cool. 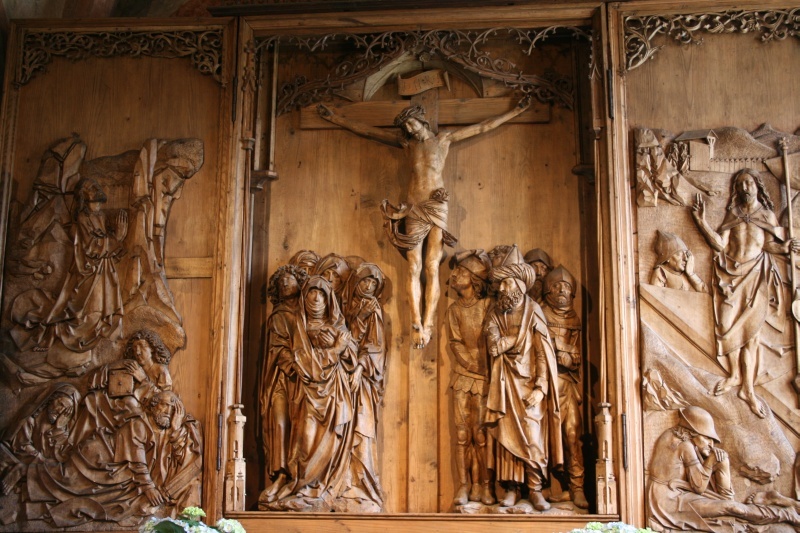 It's a thousand years old and has a wooden altar created by the master carver Tilman Riemenschneider in 1508. 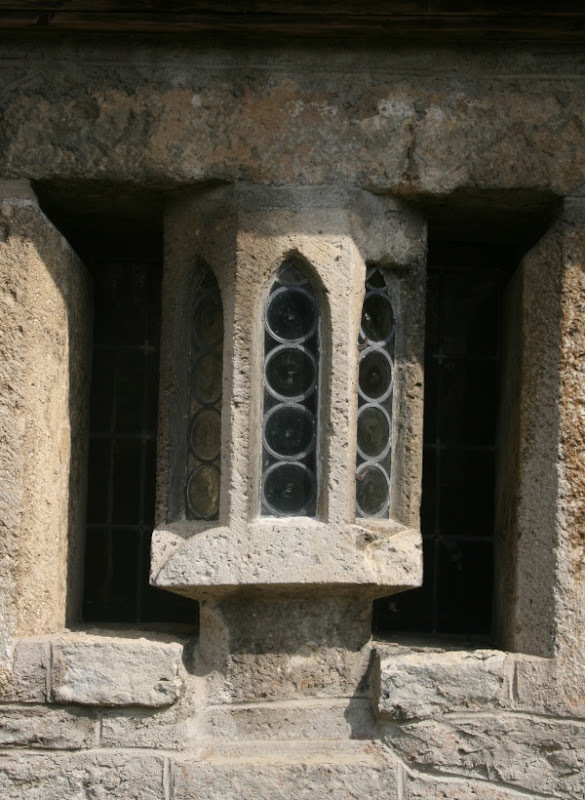 In one of the windows, there's an 8-sided stone lantern that was to keep evil spirits away from the graveyard. 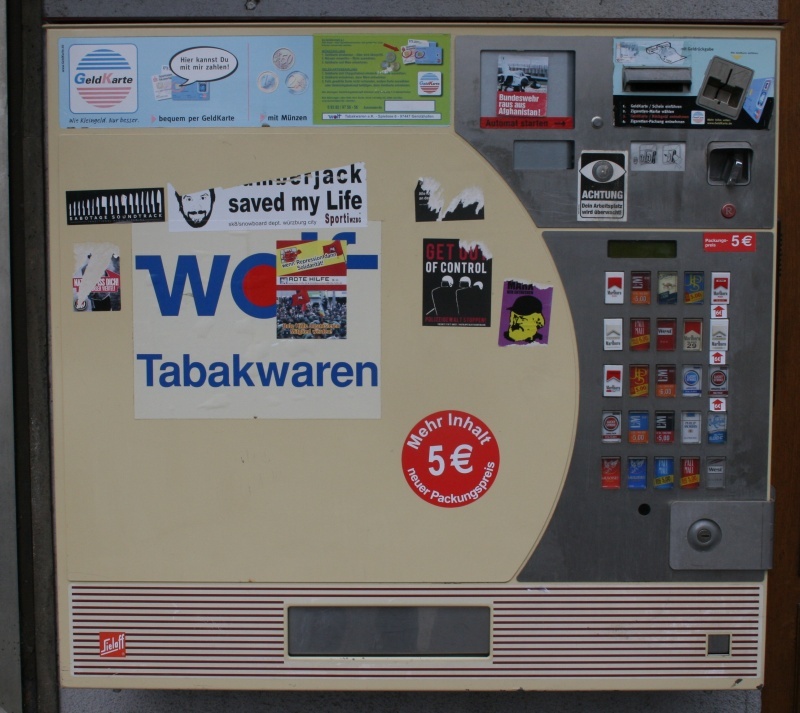 I was surprised that all along the ride, I would see cigarette vending machines. They're all over the place. Not just in shopping districts, but also on regular residential streets. 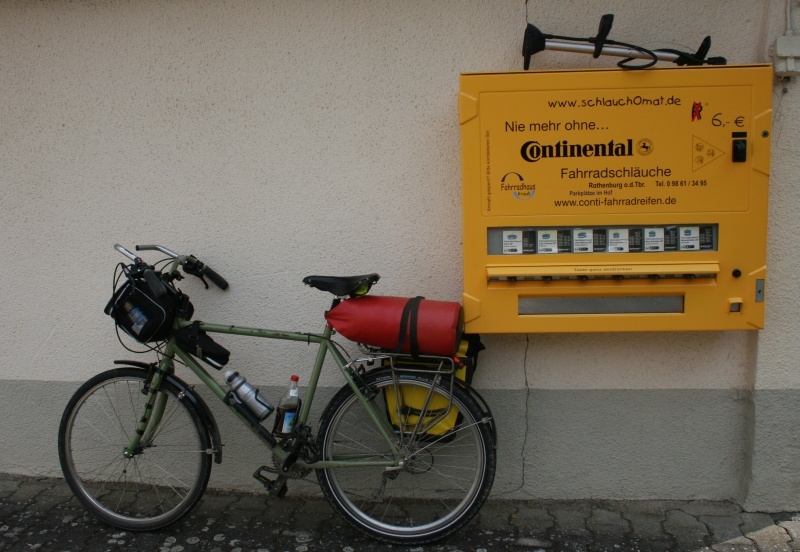 However, near the camping ground in Detwang they had a bike inner tube vending machine. How awesome is that? 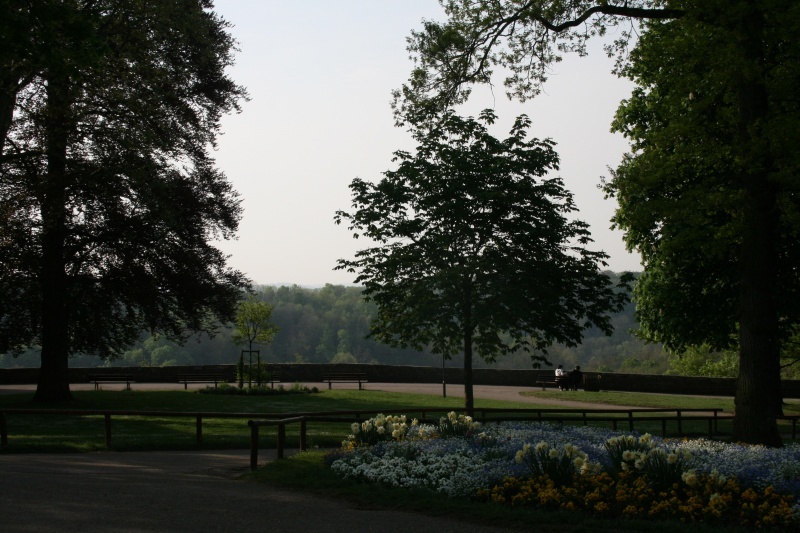 Romantic Road (IX): Bad Mergentheim! Bad!